Boy was this an unexpected treat to find at the D23 Expo last week! I was lucky enough to have been at the convention there in Anaheim, CA and getting Big Al here was pretty much the very first thing I did. Funny enough though, I didn't even know this existed going in! As soon as the D23 doors opened last Friday morning, I went right to the show floor room. 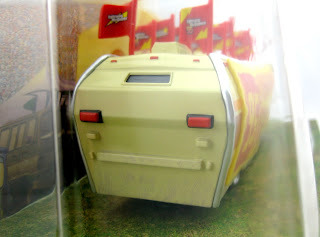 I was wandering around, having no idea where I was going or what I was doing, and I just happened to stumble upon the Mattel Cars booth. There he was in a glass case and in all his glory- no line and plenty available; and like I said, I didn't even know this was coming out. 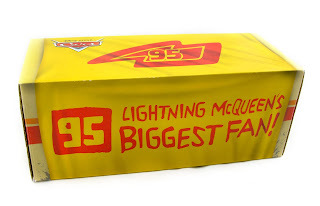 It was a real great surprise (since, as you may know, I'm a big time Disney·Pixar Cars collector)! Needless to say, I bought this guy within seconds. 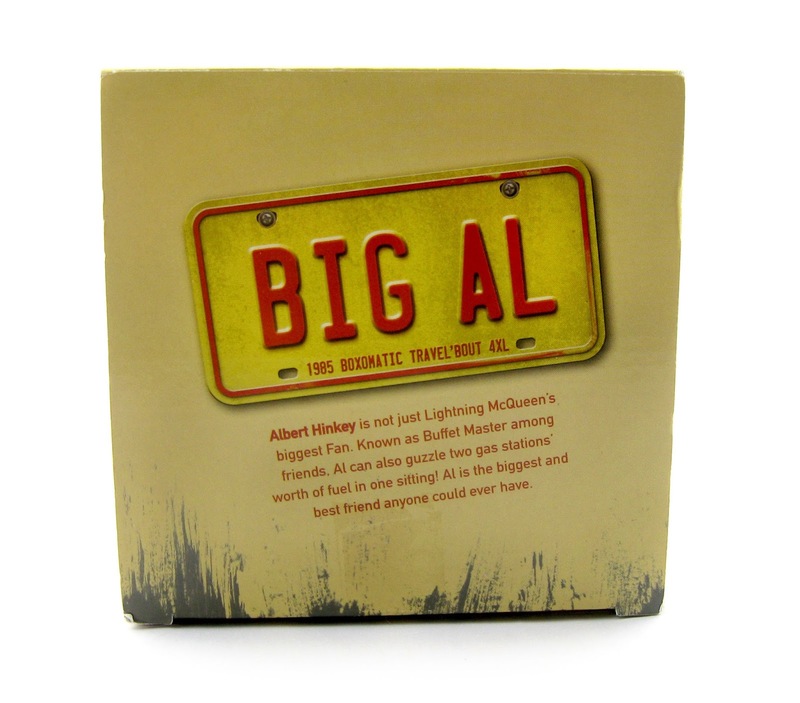 Big Al here was a D23 convention exclusive and will never be available anywhere else. He retailed for $35 and is a limited edition of only 1000 made. 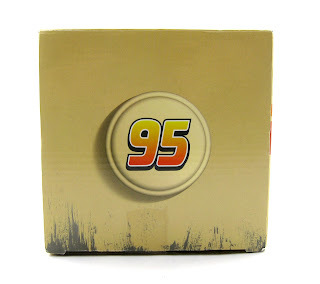 Like the rest of the Mattel line of diecasts, Al is 1:55 in scale. 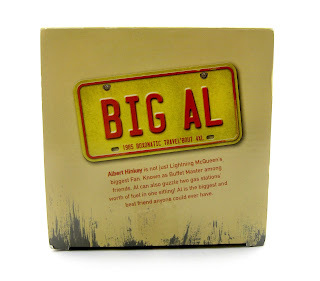 Now, you may be wondering, who is Big Al and where was he in the film? 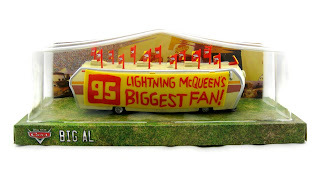 As shown in the screen shot above, Al is "Mcqueen's Biggest Fan" and is seen in the crowed during the opening Motor Speedway of the South race. He shouts, "Yah Mcqueen! KA-CHOW"! He is also seen during the final race at the Los Angeles International Speedway. Lets get to checking this out! 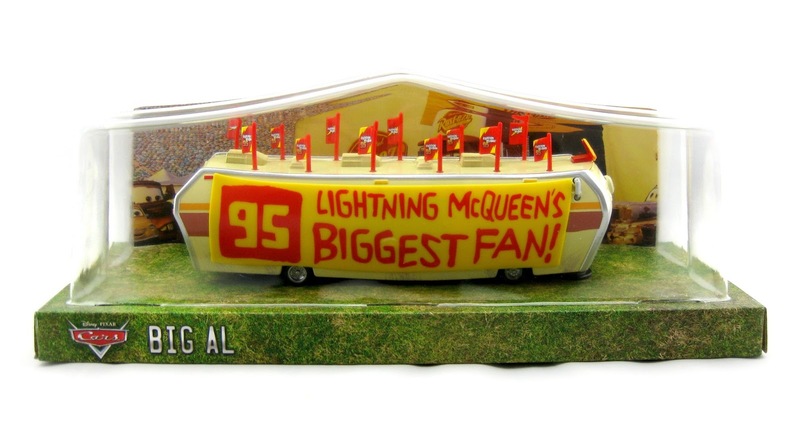 Albert Hinkey is not just Lightning McQueen's biggest fan. Known as the "Buffet Master" among friends, Al can also guzzle two gas stations worth of fuel in one sitting! Al is the biggest and best friend one can ever have. Al slides right out of the package and looks absolutely fantastic. 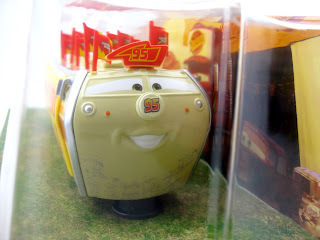 He comes in a really cool plastic/cardboard display case (that I don't think I'll be taking him out of anytime soon). Al himself measures about 7.5" long. There is just one discrepancy that I see here with this diecast. The plastic banner displayed along his side isn't exactly like the one in the film. 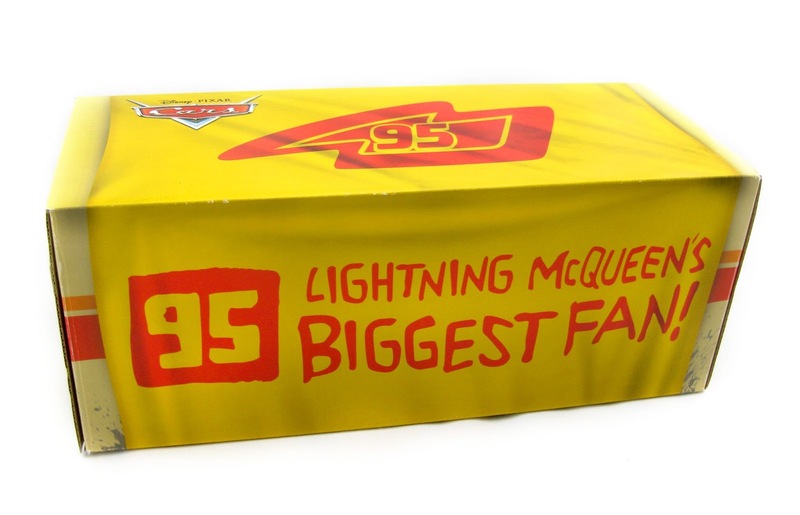 This one reads "Lightning Mcqueen's Biggest Fan", while the one in the movie says "Mcqueen's Biggest Fan." That is nitpicking, but it's a detail I had to point out. It's a real minor thing. Overall, Al looks stunning. He's mostly diecast, but the banner, flags and his "95" hat are all plastic. He will look absolutely amazing on display with other RVs released from this scene! 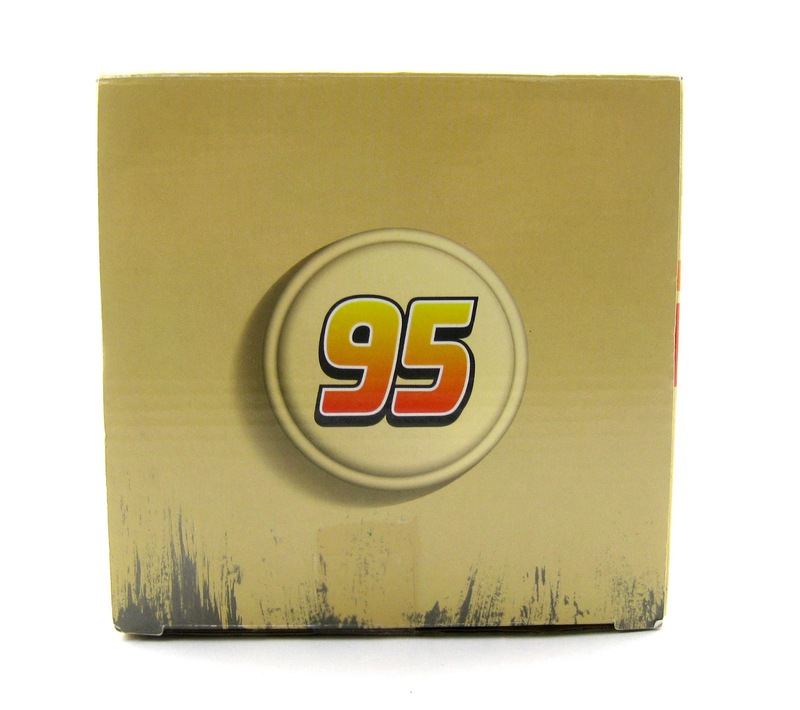 Since this was only available at the expo and is a limited release, your best bet to find this is on eBay (it sells for typically $100-$130). 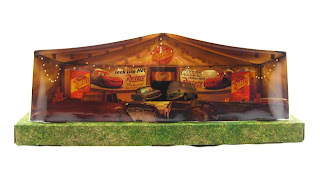 Be sure to visit this direct link to current eBay listings! If you're a big Cars collector, then this is a must have! Highly, highly recommended. Please let me know if you have any additional comments or questions! I would love to hear from you.